Penumbra Foundation - Sign up here! Wet plate collodion was the leading method of photography during the 1850’s and 1860’s. The wet plate process is most commonly known in its three forms – tintypes (positives on tin), ambrotypes (positives on glass), and glass negatives (negatives on glass). 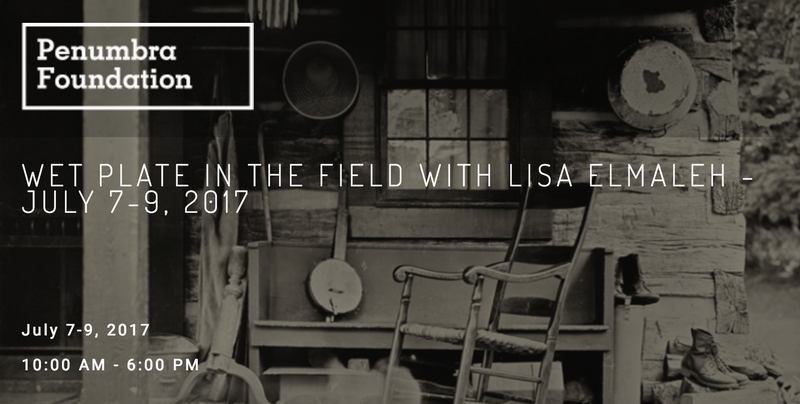 In this workshop, Lisa will teach students how to create glass negatives, tintypes and ambrotypes in camera. This workshop provides a unique opportunity to apply your skill set to an outdoor setting. It is a good opportunity for students who would like to learn the wet plate collodion process using natural light, and students who would like to build their own darkrooms, and shoot in the field. Students will learn how to hand coat their own plates, create and expose images using the sun, developing, fixing and varnishing. Students also learn proper handling, safety, and mixing of chemistry for the process, how to build their own darkroom and modify a camera. Students will need to provide their own transportation, food, tents, and sleeping bags. Accommodations are available nearby for those who do not want to camp. One small tent is available for workshop participant use on a first come, first served basis. Workshop participants will be using 4x5” graflex cameras. The cameras, chemicals and materials will be supplied. 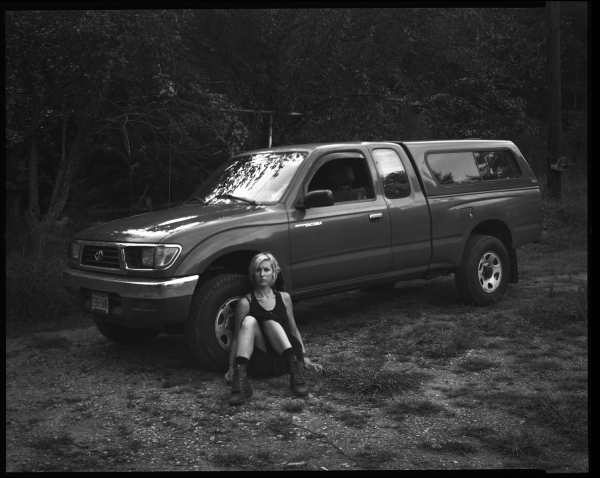 By Lisa Elmaleh — Excited to be debuting new, never before seen work in West Virginia. The exhibition opens on September 2, 2017 at the White Room Gallery..
By Lisa Elmaleh — KMR Arts announces Lisa Elmaleh’s Tintype Portrait Studio on August 19 and 20 at the Judy Black Memorial & Gardens at One Green..
By Lisa Elmaleh — Monday, February 13, 6pm - 9pm 126 Baxter Street, New York, NY Join me at the Camera Club of New York for a wee shindig/book signing, whether or..
By Lisa Elmaleh — My first book, Everglades , published by Zatara Press, is now available on my website . It includes 31 black and white photographs from collodion..
By Lisa Elmaleh — This summer, during the floods that ravaged West Virginia, The Oxford American sent me out on an assignment to photograph for Catherine Venable..
By Lisa Elmaleh — I am so honored and humbled to announce that I was awarded the fourth quarter 2015 JGS Foundation grant from the Forward Thinking Museum . ..
By Lisa Elmaleh — Modern Day Musicians, Old-time Feel by Allison Love Seeing my name under the CNN logo is both surreal and exciting. Working with the CNN team..
By Lisa Elmaleh — Delighted to have received an invitation to The 2015 Visura Artist Residency in Stowe, Vermont. November 6-12, 2015—I will be in Stowe,..
By Lisa Elmaleh — This past week, I dropped off my work, and spent some time at the Celebration of Traditional Music, which was a weekend-long celebration at Berea..